Murder by Gaslight: The Confession of a Wife Murderer. The Confession of a Wife Murderer. Charles Herman and his wife Eva lived in the upper part of a house on Blossom Alley in the German section of Buffalo, New York. He was an unemployed butcher, and she was worked for a man named Christopher Ziegler, running a small fruit stand in a public market. What little money Eva made went primarily to Charles’s worsening alcohol problem. When he drank, he turned violently jealous, irrationally believing that Mr. Ziegler was too intimate with his wife. Their marriage had been on the rocks for several years, and nearly every night Charles and Eva engaged in loud, sometimes violent fights, so neighbor took little notice when they heard the couple shouting on the night of Sunday, November 1, 1885. But the days following that Sunday were quiet, and although Charles Herman left in the morning and returned at night, there was no sign of Eva. On Wednesday, November 4, one of the neighbors became concerned, and after Charles had left in the morning, she went to call on Eva. Finding the door locked, she forced it open and found Eva lying on the floor with her throat cut from ear to ear. Her fingers had been cut as well, and the room showed signs of a terrible struggle. A post mortem examination determined that Mrs. Herman had been dead since Sunday. Last Sunday evening my wife and I were sitting in the parlor of our house in Blossom-st. I suppose I was somewhat under the influence of liquor, but I was by no means drunk. About 7 o'clock Eva said that she was going out to spend the evening. I wanted to know where she was going but she refused to tell me and said it was none of my business. I was jealous of her, though I had no evidence against her, and had resolved on the morning to kill her. I told her she should not go out alone, buy she paid no attention and went into the bedroom as I supposed, to dress, I followed her and we had some further words, which ended by my knocking her down on the floor and taking out of my pocket a razor which I had placed there in the morning for the purpose of killing her. She struggled hard and I could at first do nothing but hack at her. One hacked off the end of a finger on her left hand, and another gashed her neck under the right ear. At last I got her where I could hold her and cut her throat from ear to ear. After she stopped breathing I picked her up and laid her on the bed, in doing which both my shirt sleeves were covered with blood. I wiped up the blood on the carpet and bed with her apron and threw it with the razor under the bed. After washing the blood off my hands and clothes I went out to a bar-room and had serval drinks. Sunday, Monday, and Tuesday nights I returned to the house and slept on the bed upon which my wife's body lay, but I was half drunk all the time and didn't seem to mind it any. I remember that I slept beside her body and that it was cold, but I thought she was simply mad and wouldn't speak to me. I believe Eva was unfaithful to me, but I never had any proof of it. I have been a bad husband to her and I couldn't blame her much if she was. Charles Herman got his wish. After a brief trial at the end of December, he was sentenced to death. There was no appeal, but an effort was made to commute the sentence to life in prison. 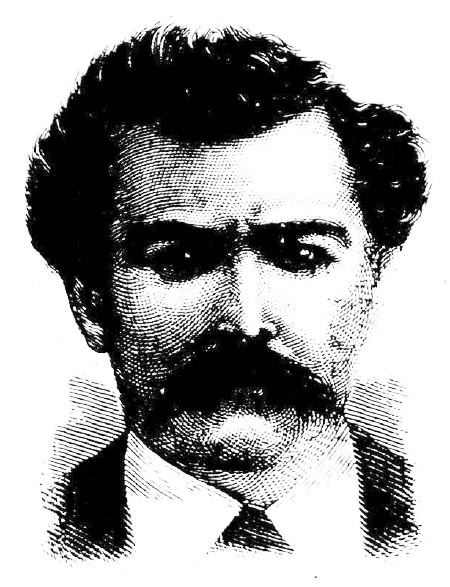 The Governor of New York quickly denied the request and on February 12, 1886, Charles Herman was hanged. “The Buffalo Wife Tragedy,” New York Herald, November 7, 1885. “Charles Herman,” National Police Gazette, December 5, 1885. “Confession Of A Wife Murderer.,” New York Tribune, November 6, 1885. 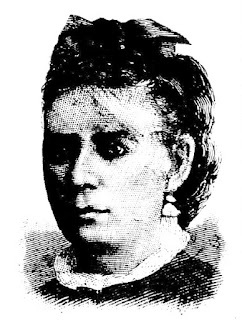 “Hanged for Sensational Murder,” Omaha World-Herald, February 12, 1886. “Hanging of Charles Herman,” Plain Dealer, February 13, 1886. “News Notes,” Plain Dealer, January 1, 1886. “A Terrible Discovery,” Boston Herald, November 5, 1885. “This Wicked World,” National Police Gazette, November 28, 1885. “Wife Murderer Must Hang,” Repository, February 9, 1886. A sad situation all around. Slaughter Ends a Wedding Feast. The Murder and the Ghouls.